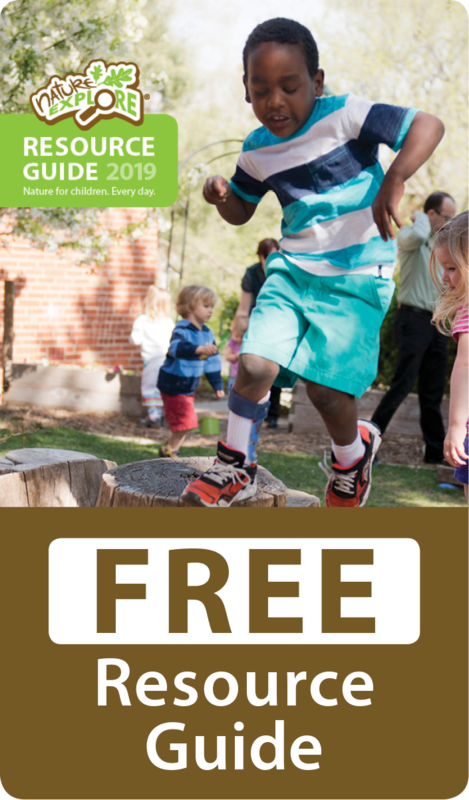 The idea for developing a Nature Classroom stemmed from our staff’s growing interest in helping children reap the benefits of connecting with nature. 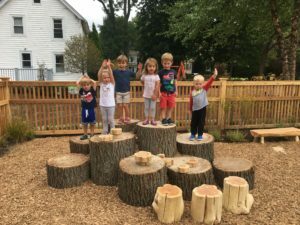 Opportunity to expand on this interest presented itself when the First Congregational Church of Greenwich, who sponsors our preschool, decided to embark upon a campus redesign that encompassed our existing playground. 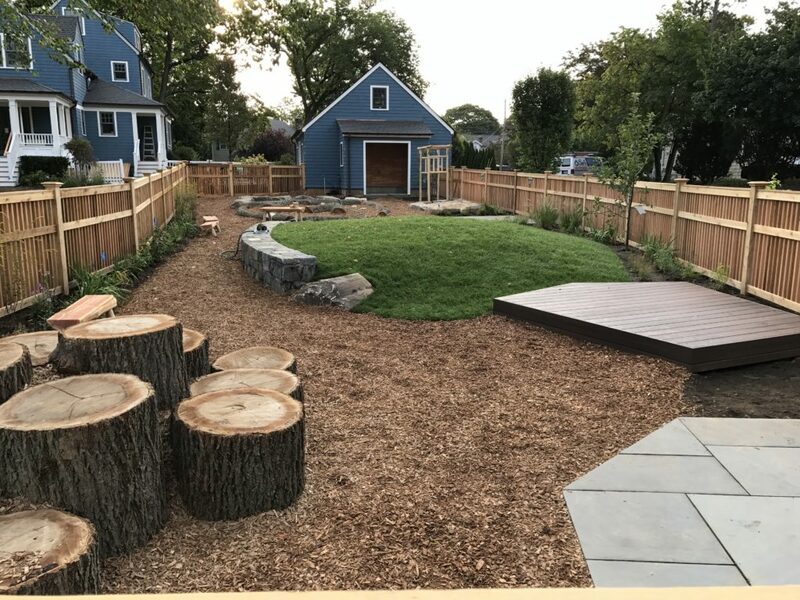 From there, our teachers began to brainstorm and research ideas for a more natural outdoor space for the children, and the partnership with Nature Explore and our Nature Classroom concept design was born. 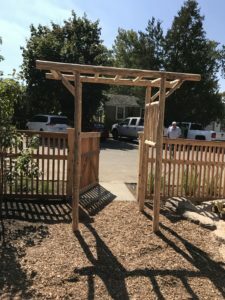 Our Nature Classroom includes a variety of plantings, from flowering to seed pods, many of which are pollinators, that produce throughout the seasons. Many of the plants instantly began attracting bees. 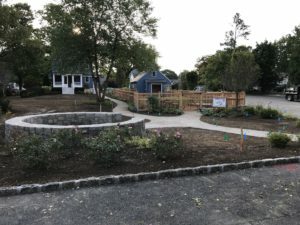 We hope that the two apple trees that are incorporated into our design will produce fruit in the coming years so that the children will be able to witness the growth process. 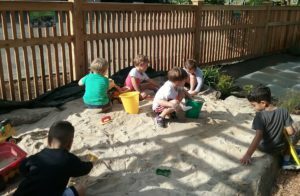 Another aspect of our Nature Classroom that we are still developing is the implementation of a Mud Kitchen. We are framing an old, discarded stainless steel double sink and bringing in a variety of pots and pans for use in the Mud Kitchen. 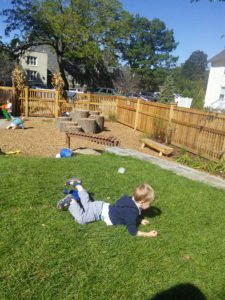 This will be a place where children can engage in dramatic play and enjoy making mud pies. 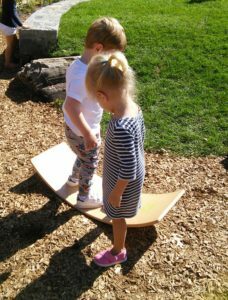 In learning to help both children and themselves engage more fully with the Nature Classroom, our teachers have developed ideas for bringing in various materials and activities designed for the space. For example, one teacher brought in items that the children in all of our classrooms could use to make and decorate a Native American Zumi Scarecrow and tepee. 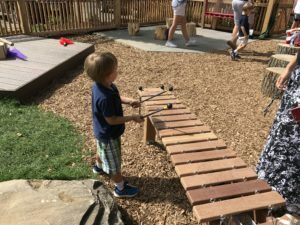 More ideas like this are actively being developed as we take advantage of the ever-growing and changing opportunities presented by our Nature Classroom.